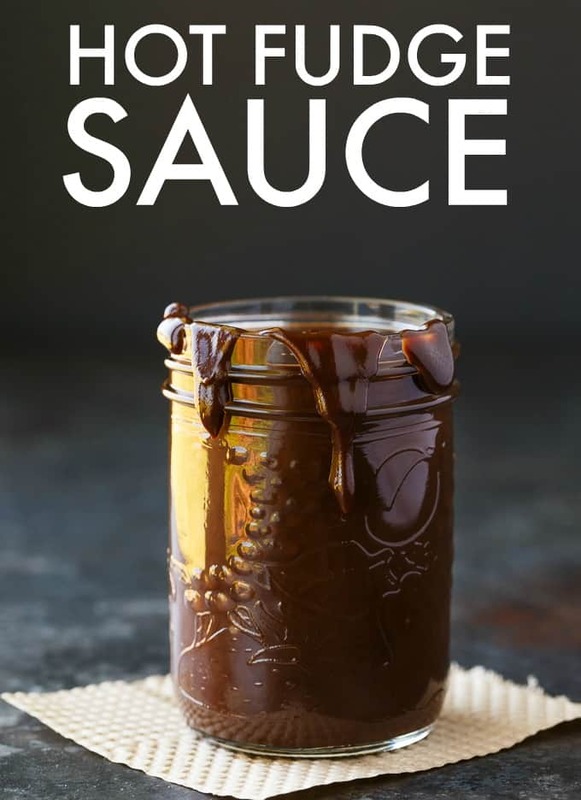 You are going to LOVE how simple it is to make your own Hot Fudge Sauce at home. Forget the store bought stuff! This easy recipe is the BOMB! It’s thick. It’s creamy. It’s silky smooth. It’s oh so chocolatey. 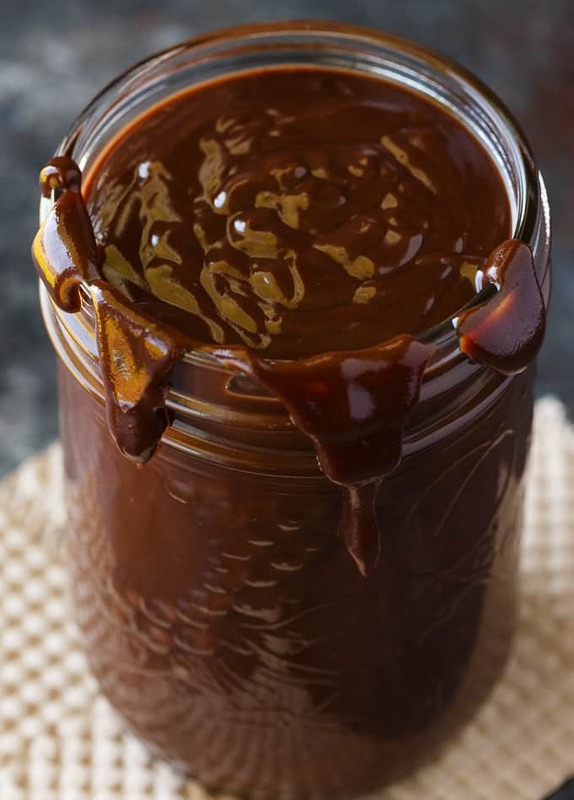 I could eat this Hot Fudge Sauce right from the jar. No kidding around here! If you are a fan of McDonald’s Hot Fudge Sundaes or DQ’s Peanut Buster Parfait, you are going to want to try this recipe. I think it’s even better! 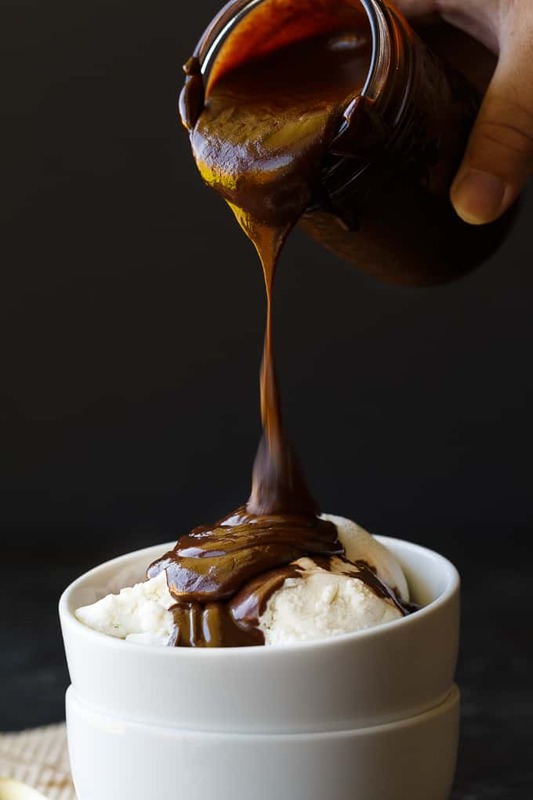 Why make your own Hot Fudge Sauce? Why not? It’s straightforward and you know exactly what ingredients are going into it. You’ll need a can of evaporated milk, semi-sweet chocolate chips, sugar, butter and vanilla extract. Add the evaporated milk, chocolate chips and sugar to a saucepan on the stove over medium heat. Heat till it starts to boil and make sure you stir it constantly. Then, once it boils, remove the saucepan from the heat. At this point, you’ll stir in the butter and vanilla extract. Leave it to cool for 30 minutes at room temperature. It will thicken up and become even glossier. 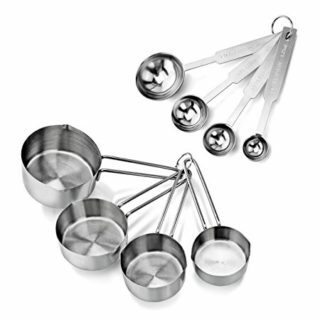 Serve it warm over ice cream, cake, cheesecake or whatever dessert you like. If you are like me, you’ll grab a spoon and take a few bites right from the jar! Your Hot Fudge Sauce is fine in the fridge for up to 1 month. Store it in a jar or airtight container. When you are ready to use it, heat it up slightly in the microwave so it’s loosened up. It will thicken up considerably in the fridge and be almost like a pudding. Not that I’m complaining…. My dad brought someone over to help me with the yard work. It was during that mega heatwave we just had so I offered him some ice cream. I made a Hot Fudge Sundae and he devoured the bowl like there was no tomorrow. I guess that’s a sign it’s a good recipe! For more chocolatey recipes, try my Fudge Nut Bars, No-Fail Chocolate Fudge and Chocolate Confetti Bars. 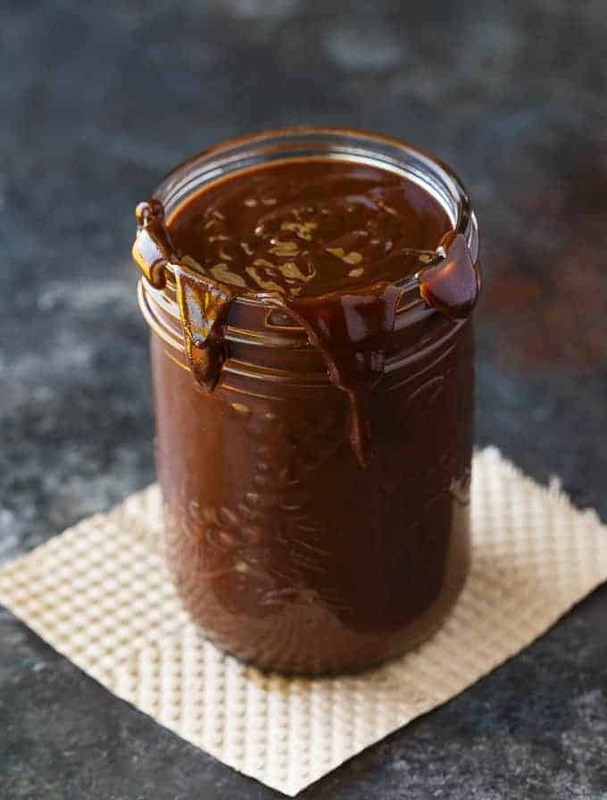 You might also like this Caramel Sauce. 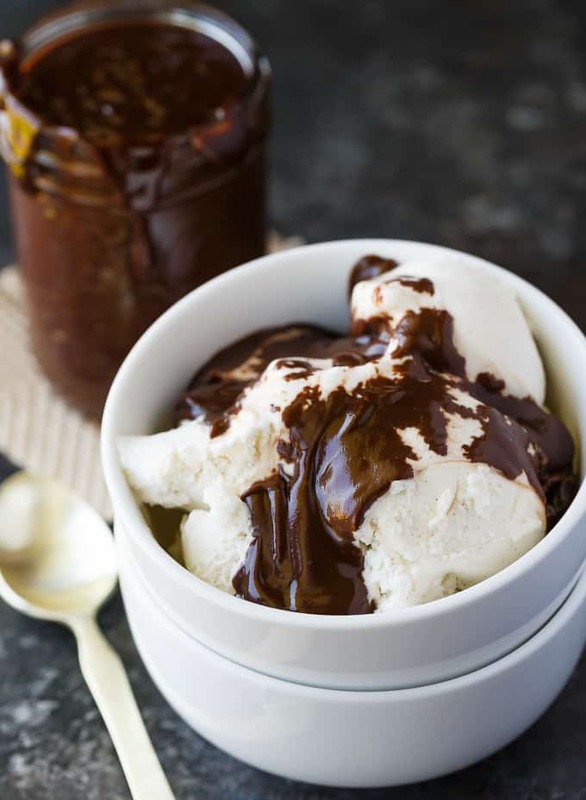 What will you serve with your Hot Fudge Sauce? So thick and decadent! This delicious sauce is wonderful over ice cream for the ultimate sundae. Add milk, chocolate chips and sugar to a saucepan over medium heat. 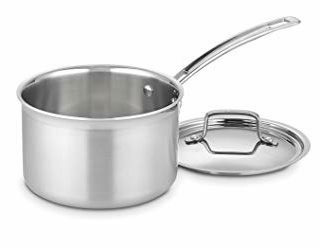 Heat to boiling, stirring constantly. Remove from heat. 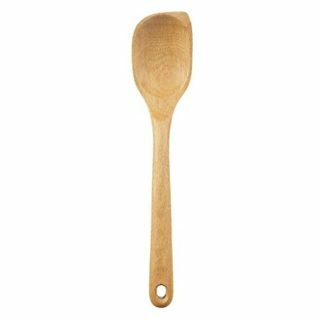 Cool for 30 minutes and serve warm. Store sauce in fridge for up to 1 month. Heat slightly before serving. YUM! I love hot fudge sauce! Looks absolutely incredible! Oh my, this looks so good. Now I need to do a grocery store run for the evaporated milk. Thank you for sharing and for your drool worthy photo. I just want to swipe a finger and clean up those edges. lol. Wow! That sounds so easy and looks amazing. Pinned. 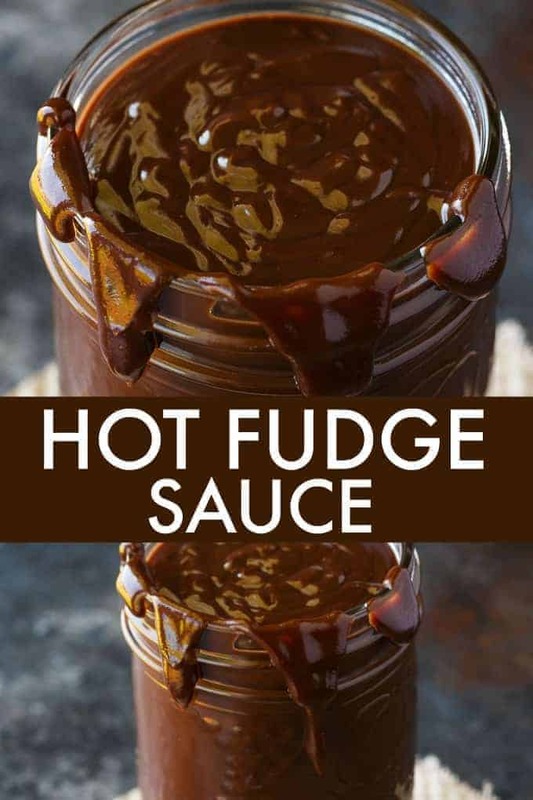 Oh, love the look of your hot fudge sauce. 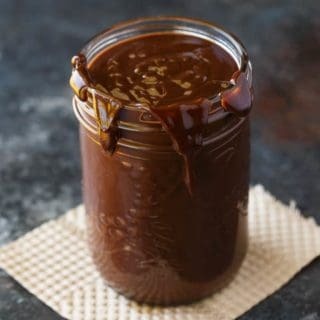 We just had some home made hot fudge sauce the other night at a restaurant and it was delish. When I saw your post, I was immediately drawn to it and couldn’t wait to click the link to your post. Thanks for sharing, can’t wait to try it. Your Hot Fudge Sauce looks great, where’s the Ice Cream? Hope you are having a wonderful week and thanks so much for posting with Full Plate Thursday! I just want to lick the jar. Wow, this looks so yummy! I can’t wait to make this. Stop by Thursday Favorite Things since you are one of my features.